Newton- Schneider, Rev. Dr. Thomas Milton – Peacefully passed away August 26, 2018 surrounded by his loving family. Thomas was born November 11, 1937 in Wichita, Ks. to Louis F. and Hannah F. (Hancock) Schneider. 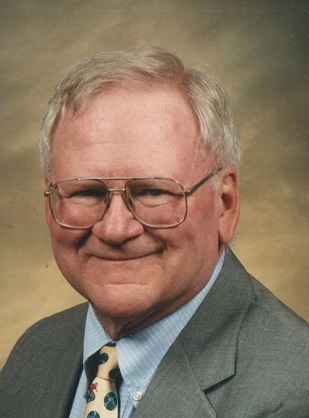 Tom along with his wife’s support served as Pastor at many different churches over his life long career for the United Methodist Church at such places as Leon, Ks. ; University Church In Wichita, Ks. ; Johnson, Ks. ; Sublette, Ks. ; Goodland, Ks. ; Concordia District Superintendent; Hesston, Ks. ; and as a staff member at the United Methodist Conference Office. On August 14, 1965 he married Phyllis Anna Romig in Sedalia, Mo. They recently celebrated their 53rd anniversary, she survives of the home. Other survivors include 2 sons Steve and wife Nancy of Sublette, Ks; Jon and wife Dedre of Liberal, Ks. and 3 grandchildren Ashlee; Scott; and Casen. He is preceded in death by his parents. Hi we are so sorry for the loss of Tom. We enjoyed him as Pastor here at Hesston and at men’s Bible Study. May God be with you all thru this time. My love and sympathy to Phyllis and family from Goodland, Ks. So many good memories from the time you all spent with Ken and I when Tom served our church. Now Tom can visit with Ken, the custodian, in Heaven.